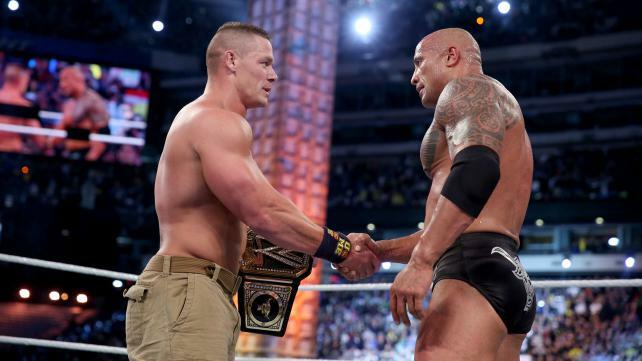 Dwayne "The Rock" Johnson and John Cena have had their share of beefs, which inevitably spilled over into the WWE ring and all the way to WrestleMania. But they've long since squashed all of that, and unlike Johnson's feud with Vin Diesel they will definitely work together again. Johnson had been set to star in an adaptation of Robert Ludlum's The Janson Directive, but due to his busy schedule that role is now going to Mr. Hustle Loyalty Respect himself.